Blogging: it’s dead! Blogging: you’ll never find clients without it! Is one of these true for translators and interpreters? Both are true? Neither? Is blogging totally 2009, or should you start blogging today, if you’re not doing so already? Having written this blog since 2008, I can say that blogging has absolutely been worthwhile for me, and I’ve identified five questions that might help you determine whether it’s right for you. Question 1: Why am I writing (or considering writing) this blog? This sounds so basic as to be not worth stating, but it’s really critical. What is your objective? It’s impossible to over-stress how important this is. Without a goal, it’s not worth starting a professional blog in the first place. This follows from the topic above. 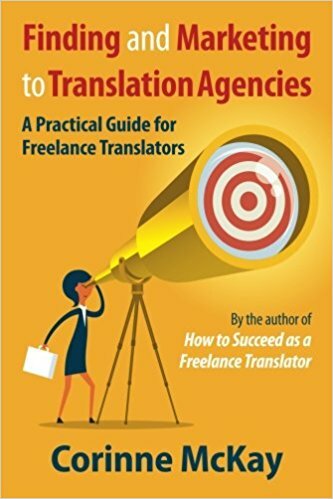 The number one complaint I get from translators and interpreters who blog, is “I write this great blog, but I never get any work from it.” And when I look at these blogs, they are great…if you’re a translator or interpreter. If you’re a translation client, they are of no interest whatsoever. Question 3: Do I have the time and energy to keep this project going? “My apologies for the radio silence here; I’ve been so busy! But seriously, stay tuned, because I have tons of great content coming for you really soon.” Followed by six months to a year of further radio silence, after which the blog dies. Question 4: What’s my niche? When I started blogging in 2008, there were about three and a half freelance translators writing blogs. It was completely possible to write a blog with rambling anecdotes about one’s life as a freelance translator–not to be all transparent about my blogging strategy back then…-and generate a significant amount of readership. For the first year or two that I blogged, I had no strategy, no purpose, no target audience; and still, readers came, because there was not much else out there. These days, throwing the blog spaghetti against the wall doesn’t work. You need a niche. Maybe your idea is to establish yourself as an expert in the chemical coatings sector, or as the premier Uzbek translator out there, or the go-to German conference interpreter on the West Coast, or as a translation technology consultant for big corporations. I say go for it. But don’t launch a “my life as a freelance translator” blog, unless you’re writing it purely for your own enjoyment, which is also fine, as long as you’re clear that that’s your goal. Question 5: How am I going to attract readers to this blog? The internet in 2018 is a crowded place. If you just build it, they may not come. You have to build it, then shout from the housetops that it’s there. Some content marketing experts even estimate that you should spend 25% of your time creating content, and 75% of your time spreading the word about your content. Again, unless your blogging goal has zero to do with increasing your work volume, income, referrals, etc. How to spread your presence across other social media platforms, so that you can put your blog posts on Twitter, LinkedIn, Instagram, etc. etc. Perhaps, how to re-purpose your blog content into videos, e-books, etc. Blogging can be a significant business driver for a freelancer. In the ten years I’ve been blogging, my books and online courses have grown into about 40% of my income, and the main channel through which people find out about them is my blog. It’s so worth it–for me. But I also see lots of translators getting frustrated about what they see as the lack of results from their blogging efforts. I think that using these questions can help you avoid some of that frustration. Readers, over to you: thoughts on blogging for business?